This will be my second season supported by the Dave Rayner Fund. I’m happy to receive the support for this coming season. I started my cycling with Lee Valley Youth Cycling club based at hogg hill in Essex. I soon started racing as an U14 and struggled to finish. As an U16 I started to go to Belgium with John Barclay and Dave Storey racing in local kermesses. Gradually my results improved with more experience. 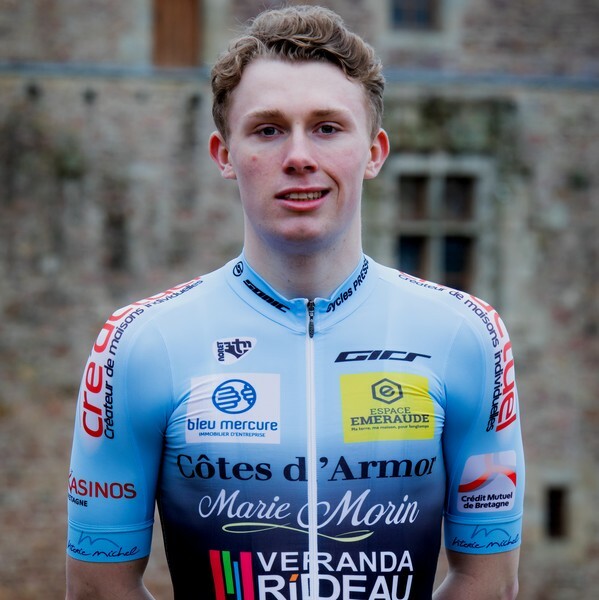 Last season I rode for HMT-cycling team as a junior and rode at a UCI level where I gained knowledge which I hope will help me with my season ahead racing in Belgium as an U23. The team is based in Ploufragan in Brittany, France. It has a mixture of U23 and elite riders. 4 foreign riders. 3 from the Dave Rayner Fund (Stuart Balfour, Owen James and Myself). The race programme has a good mixture. Lots of one day classics and stage races. These are UCI and Coupe de France. It has a good espoir programme we will be doing U23. Roubaix and Liege-Bastogne-Liege. I am living in a team house based in Quessoy, Brittany. The team bike for 2018 is a Girs Oscar and our clothing is supplied by Noret, the French manufacturer. Over the years I had a few interests such as going to Watch West Ham play as much as I could. However most my life now revolves around cycling so I struggle to get time to go and watch football as much as I'd like. However I'll see if I can get over to watch Gent play if I have a free weekend around racing!